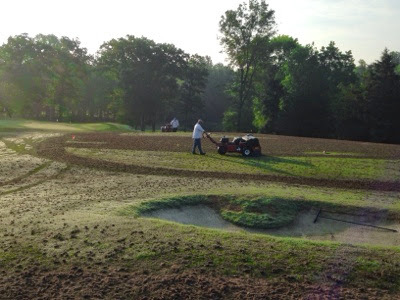 This week we have attacked the golf course with aerators. We started out aerating greens with a 3/8inch tine spacing at 1.5 inches. 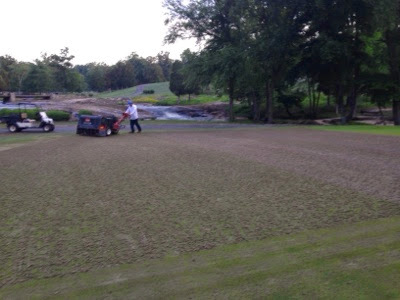 Topdressing sand, brushing,blowing and rolling completed the process. Next we attack the Bermuda collars and approaches. Plugs were collected and the areas were cleaned off. Topdressing sand will be incorporated into these areas next week.